The pilot project's three partners (Impact Bioenergy, Harbour Public House, PSE) are pleased with the HORSE's progress! The Pub requested and was granted a 6-month lease extension on their permit. The HORSE has already made an impact on the Harbour Public House. The pub's owner Jeff Waite noted, The ‘feeding' of the HORSE has motivated our staff to look for additional ways of repurposing our waste streams.” He hopes the digester will have a larger community impact, too: Based on the positive feedback we are experiencing, we think it is time for a community-wide discussion on how the Island can move on more community-based installations,” Waite said. PSE is eager to continue supporting community-based green energy solutions such as the biodigester. 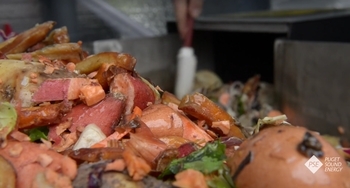 For more information on the pub's HORSE biodigester, check out this video.